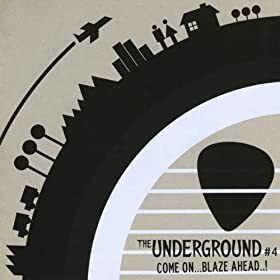 Wondering how to get your own copy of Underground CD #4? Read the rest of the feature, which includes the bands talking about their songs, right here!! The CD was launched in the form of two launch parties on the 6th and 7th of May 2011, and the featured bands’ performances were split between the two gigs. Having the opportunity to be in The Underground CD is one of the coolest things an indie band in Hong Kong can end up doing and every Underground event is always special in its own way. Underground HK is a great motivator for us artists and we are thankful that there is such an event here in Hong Kong. Thank you Chris B and to your crew who always put up a good show!